Materials: Minky, vinyl painted eyes, wire armature. 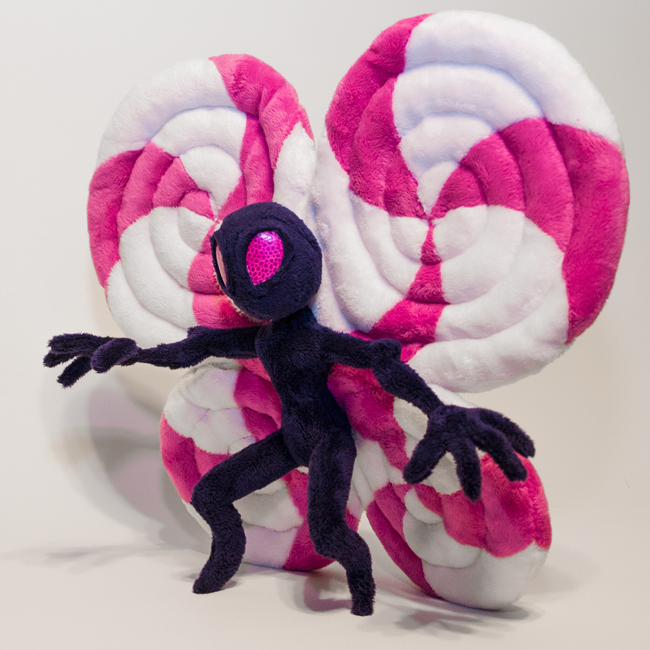 A cosplay appropriate, lifesize and posable plushie of Pix, Lulu's the Fae Sorceress' best friend and magical companion who helps her fight in League of Legends. 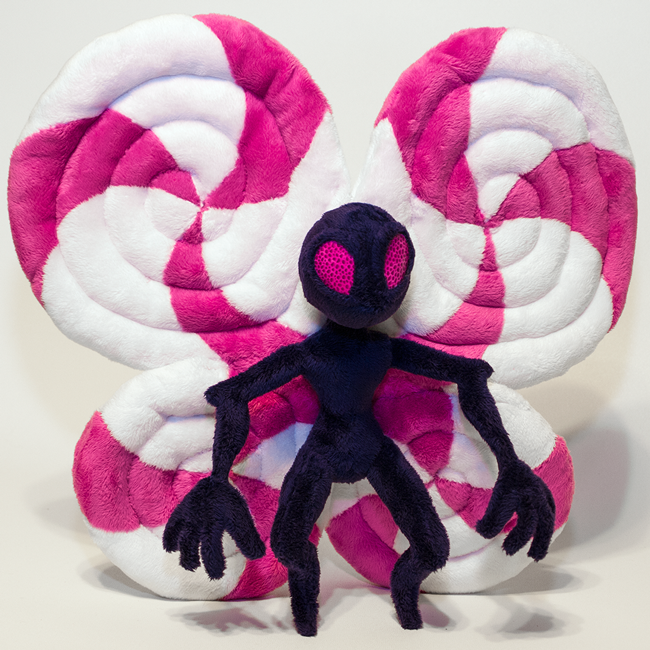 He is both a very cute and very creepy fairy. 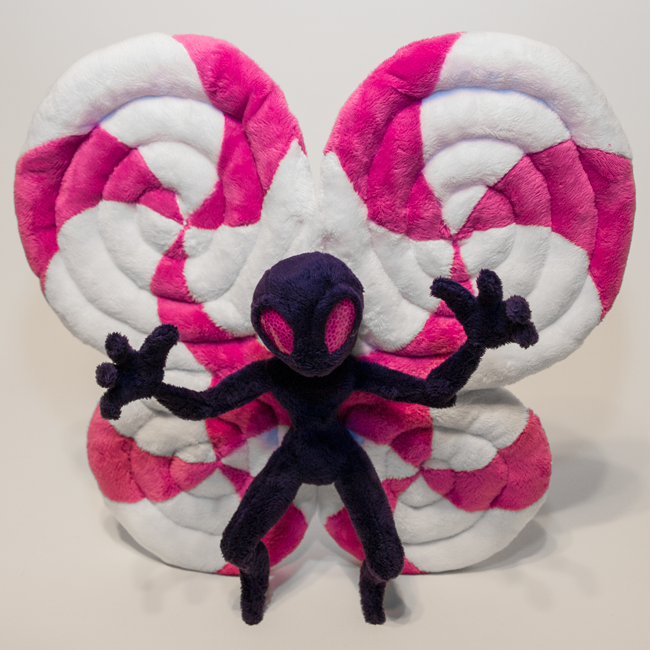 This particular design of Pix is from Lulu's candy themed skin, "Bittersweet Lulu". 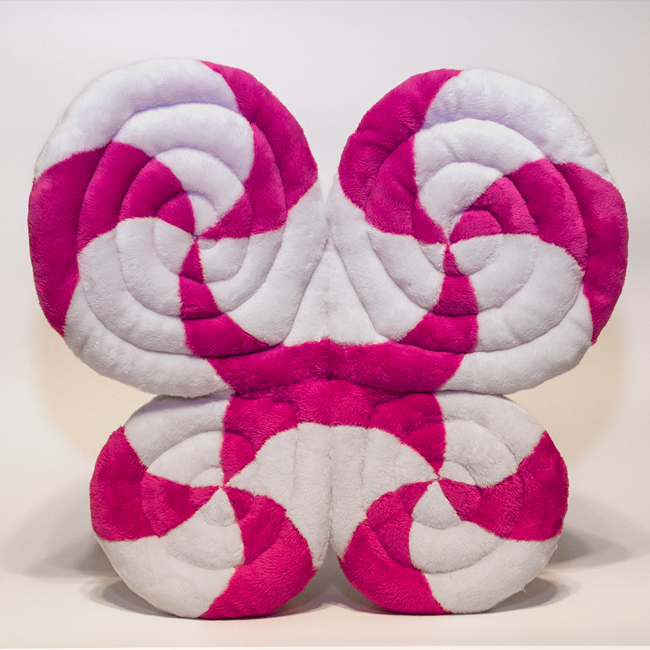 Pix is made from minky for a very soft and high quality look. His entire body has a wire armature, even his hands, so that he can stand on his own and be posed exactly as desired! 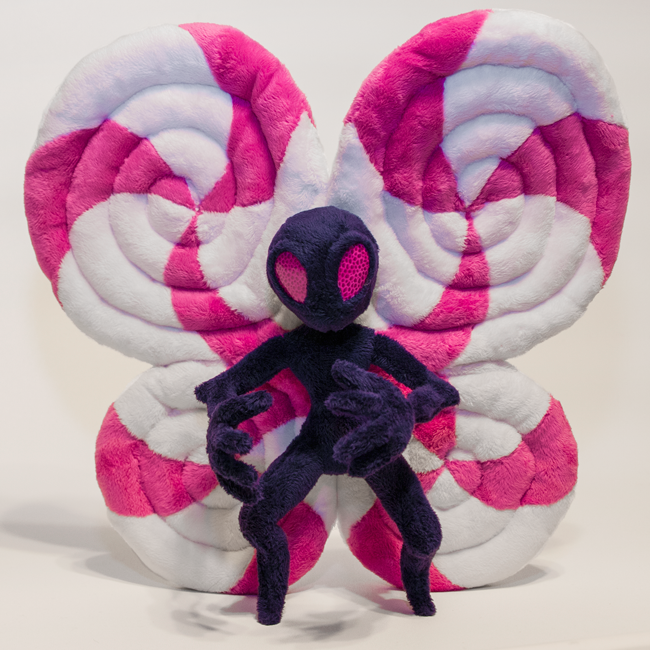 Aside from adding an armature, most of the time in creating this plushie went into his hypnotic, pinwheel butterfly wings which are incredibly time consuming to sew together, but create a very nice effect!